Is Barack Obama eligible to be President? Is his birth certificate a forgery? Does it take two citizen parents to be eligible to be President? At Least One Court Has Very Specifically Ruled that Minor v Happersett Says No Such Thing as What Birthers Claim. A Search for the Legal Evidence that American Common Law Defined “Natural Born Citizen” as a Person Born on US Soil of Two Citizen Parents. More than a year has passed since I wrapped up my public commentary here on the claims of the “birther” movement, and brought this blog to its official close. And I hadn’t intended to ever post again. However, a few things happened during this year of 2013 (and one in particular) that have finally led me to write this epilogue. Even though I thought the issue had already been beaten to death, over the course of the past 14 months a few additional little bits of information have come forth. Not so much on the legal and Constitutional front, though. About the only one left still beating the worn-out “citizen-parents-required-to-be-a-natural-born-citizen” drum is Mario Apuzzo, and he hasn’t had anything new to say since before I quit the scene 14 months ago. Apuzzo posted a total of 4 articles this year, and all were just a rehash of his same claims that have been widely debunked. 1. What I wrote here about the meaning of “natural born citizen” has been confirmed by every judge and every legal expert of any real stature who has ever ruled or otherwise spoken on the matter. 2. It’s still true at the end of 2013 that — birther assertions to the contrary notwithstanding — no birther “expert” has ever factually disproved even one significant point of the technical analysis that I published in a 221-page book back in the summer of 2011. Although a number of the birther “experts” have quietly dropped their public involvement, I find it pretty remarkable that they continued to make the “forgery” claims for so long without ever being able to factually deal with such critiques published by myself and others. That has to do with the nature of the people making the claims, though, rather than with the nature of the evidence. A few are still pushing the “forgery” claims to this day, of course. The hard-core birthers, almost by definition, live in a world where facts don’t matter — unless, of course, they happen to be facts that they like. But really, the only thing that matters to them is the meme. 3. We now know to a good degree of certainty what the penciled race codes on 1961 Hawaiian birth certificates mean. And it now seems that yes, not only did the Cold Case Posse actually lie to the nation about what the federal race codes meant, they also apparently fabricated what the State of Hawaii race codes meant as well. As with the federal codes, they publicly claimed in the summer of 2012 to have the Hawaii race codes. But they never produced the slightest evidence that they actually did. And the documentation that has come forth recently indicates that those codes never meant what the Posse claimed, in full-blown press conference, that they meant. “9” never meant “Unknown or race not stated,” as claimed by Corsi / Arpaio / Zullo & company. It meant “Other races,” and in a state with so few black people that there was no “black” race designation in the rest of the codes, it was precisely appropriate and accurate for the race of Obama’s father. The exact meaning of the penciled Hawaii codes was one of two remaining mysteries I knew of when I left the issue in the fall of 2012 (and the other will be addressed by the end of this post). It was the one thing I wished I had been able to uncover but didn’t, and I’m gratified to Kevin Davidson (Dr. Conspiracy) for finally solving it. In fact, it seems to have been the last little mystery. In solving it, Dr. Conspiracy has helped bring the title of this blog — Investigating the Obama Birth Mysteries — to its final resolution. 4. The full birth certificate of the woman I referred to as “Hawaii Girl” in an attempt to guard her privacy was leaked online this year by birther attorney Orly Taitz. And that full certificate entirely confirms that I accurately discovered every important detail about this birth certificate by analyzing a leaked image of the back of the certificate. and a few other details like parents’ names, address where they lived at the time, and so forth. Orly Taitz’s recent publication of the full certificate completely confirmed my conclusions, in particular, of what the birth certificate number and the parents’ race designations were. 5. Finally and most importantly, the “forger” of President Obama’s birth certificate has been discovered, named, and verified. Yes, the So-Called “Forger” of Obama’s Birth Certificate Was Outed in 2013. Back in the summer, I learned that blogger “nbc” had identified the specific type of machine that produced the PDF image of Mr. Obama’s birth certificate. It was a Xerox WorkCentre. A couple of different models in this product line use the same basic algorithms. (An “algorithm” is a pre-defined sequence of exact steps to do something.) The White House is verified to have possessed and used a Xerox WorkCentre (model number 7655) during the exact time frame when Obama’s birth certificate was published. 1 Models 7655 and 7535 operate very similarly. 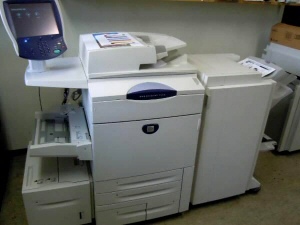 WANTED: For Producing the Anomalies in Obama’s Birth Certificate — the Xerox WorkCentre 7655. Approach With Caution. And all you have to do to reproduce the many “suspicious” effects seen in Obama’s PDF, is use one of these Xerox WorkCentres to scan a birth certificate into an Apple computer, then rotate the image and save it as a PDF file. And that’s obviously how Obama’s PDF was produced. A White House staffer took a paper birth certificate (which was seen by reporters, and which we have two actual photographs of, courtesy of reporter Savannah Guthrie), placed it haphazardly on the scanner glass of a Xerox WorkCentre (all indications are it was the 7655), scanned it into a Mac, rotated it, and saved it as a PDF. Simple experiments reproducing these steps have been conducted that give the same “anomalies” that birthers wailed and filed lawsuits about. Back in 2011, when I wrote my book, I speculated that someone might well discover the exact software, and I said that if they did, they would earn a mention at my web site. I already mentioned “nbc.” Another person who deserves such a mention is commenter “justlw,” who seems to have been the first person to bring up the Xerox WorkCentre, way back in March of 2012. And another is “Reality Check,” who this year has conducted experiments that produced results virtually identical to the President’s birth certificate. Congratulations and good work, you three. My hat is off to you. Well, I could go on and on. But I really don’t want this to go over into 2014. It’s a new year coming. But there we have it. Confirmation after confirmation after confirmation. 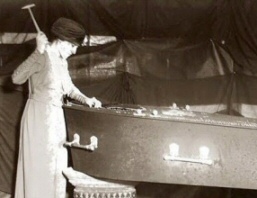 All of the Obama birth mysteries are solved, and this blog can rest peacefully as an archive. I’m now going to post this epilogue, and wish you all — birthers, non-birthers and those who were never interested either way — a happy and prosperous 2014. 1The proof that the White House actually had a Xerox WorkCentre 7655 in its possession and use during April of 2011 is easily seen in a White House information release written by Jay Carney and dated 2:10 pm Eastern Standard Time, April 18, 2011 — 9 days before the release of Obama’s birth certificate. For as long as it’s available on the web, that release may be accessed here. All one needs to do to see the proof that the White House was using a Xerox WorkCentre 7655 to scan and produce PDF files is: Open up either Obama’s tax return or Biden’s in Adobe Acrobat Reader and look at the Properties. For the sake of more permanent archiving, I am saving an unaltered download copy of Obama’s tax return here, and a copy of Biden’s here. Finally, that the White House continued to own or lease at least 1 Xerox WorkCentre (albeit of a different model number) following the April 27 publication of the birth certificate is confirmed by the fact that Obama’s 2010 Financial Disclosure form, published on the White House web site on May 16, was produced using a Xerox WorkCentre 7765. Note: An earlier version of this article erroneously stated that Mr. Obama’s 2010 Financial Disclosure PDF had been produced using a WorkCentre model number 7655. The error was noted on Dr. Conspiracy’s blog by birther Hermitian. As is typical of birthers, Hermitian is delighted to have found a tiny flea on the cat, which he then uses to try and argue that — since most people tend to associate fleas with dogs — this means that the cat cannot possibly be a cat at all, but must instead be some form of miniature German Shepherd. In other words, any excuse at all — no matter how minuscule — is gleefully considered to be full justification for hanging on to the birther fantasy like a soaked rat clinging to a shattered bit of shipwreck in the midst of an Atlantic gale. But back to the specific case at hand: We know that a simple and quite obvious and intuitive work flow produces the exact effects seen in Obama’s birth certificate PDF. And we also know that the White House was using a Xerox WorkCentre 7655 within 9 days of the date Obama’s PDF was posted in April of 2011, and that they continued to use one or more Xerox WorkCentres after Obama’s PDF was posted. As far as I know it hasn’t been proven to date, but I would frankly be a bit surprised if the image-compression-to-PDF algorithms in the WorkCentre 7765 were much if any different from the image-compression-to-PDF algorithms in the WorkCentre 7655. A quick web search reveals, for example, an entire line of Xerox WorkCentres with very similar model numbers — including 7655, 7665, 7675, 7755, 7765, and 7775 — which all use the exact same drum. And based on the product literature, the 7655 / 7665 / 7675 appear so visually identical to the 7755 / 7765 / 7775 that it seems impossible to me to tell any of them apart without actually hunting for the model number. So once again, we come back to the title of this post. To the degree that further information has emerged over time, it has failed to disconfirm or disprove anything that was published in my book. Instead, those conclusions have been repeatedly confirmed by the emergence of new information. PS: Yes, cats get fleas too. It's a Wrap! This "Special Edition" Post Brings This Blog to a Close. For people who haven’t really evaluated the claims that the current President (Barack Obama) is ineligible to his office, this page should serve as a handy quick guide to the major claims that have been made by birthers, and the status of each. The list below should come close to representing all the major claims made by birthers. There are more than 100 of them. The following evaluation is from a non-partisan point of view. I have given reasons and references elsewhere for the conclusion regarding each and every claim in the list (generally, either on this site or in the book authored last year by myself). If you would like more information on a specific claim, please search this site, and/ or refer to the book. Current approximate count of major claims: 118. It depends of course on how you count them. I’m sure this list is not exhaustive. There are often multiple sub-claims made under a particular point, so a truly exhaustive list of claims that have been made by birthers would probably run into the hundreds. 115 claims that are invalid, not decent evidence at all, true but irrelevant, false, or (in at least a few instance) known and documented to be outright lies. At least 85 claims in this category have been shown to be outright False. 17 more are Unsubstantiated, which means they are just accusations without sufficient evidence to back them up. Anybody can accuse anybody of anything. 2 are Invalid, which pretty much means they don’t even make sense. 11 are True But Irrelevant. 3 claims that are True but Insufficient. 0 claims that have been found, after investigation, to provide any good evidence that the current President is not legally and Constitutionally eligible to his office. This tells you what kind of track record the birthers have. In short: The entire birther movement is a great big huge pile of nonsense. And yes, it’s true: I personally have investigated at least 118 claims of “evidence” or “proof” that the current President is ineligible. And I found not one single one that — in my carefully-considered, willing-to-be-persuaded judgment — could actually stand up to scrutiny. I’m sorry if that upsets some readers. But please note that your difficulties in coping with reality are not anybody’s problem except your own. If you want to know the specific reasons I found not one single significant birther claim that could stand up to scrutiny as being any good evidence of the birther claims, the details are contained in two sources: The book I authored on the forgery theories, and this blog. Read the book, which has 221 pages and 175 references. Read the blog, which contains even more content than the book, and which covers the issues not covered in the book. Statuses: True and Valid, False, Invalid, Unsubstantiated, True But Irrelevant. I have assigned a status to each claim of True and Valid, False, Invalid, Unsubstantiated, True But Irrelevant, or True But Insufficient. “Unsubstantiated” sounds a lot weaker than “False,” and I suppose it is. “False” means something that is known to be false. “Unsubstantiated” means no real evidence exists that it is true. Claim: George W Bush is secretly married to Britney Spears. “True But Irrelevant” means that the claim may indeed be true, but a conclusion that Obama’s birth certificate is a “forgery” or that it takes two citizen parents to make a natural born citizen does not logically follow. Now: I’m not going to get into the details of any one of these claims in this post. This is just a summary, with my understanding of the current status of the claim. 1. Birth certificate supplied by Lucas Smith is Obama’s. Status: False. It’s a fake. 2. Birth certificate with faint Dutch printing in background is Obama’s. 3. Obama’s mother flew to Kenya and back. Status: Unsubstantiated. At best. And just not remotely plausible. In fact the United States government recorded a grand total of ZERO US citizens who arrived in the United States from Kenya by air for the entire YEAR ending June 30, 1962. It thus appears the ONLY way this could even remotely have happened would have been for Obama’s mother to deboard in London, stay a night or two, reboard, and then be recorded as an arrival from the UK. But flight itineraries seem to have been pretty tight and definite, so this again is extremely implausible. And that’s just ONE aspect of the extreme implausibility of the claim. 4. There is evidence in the British archives that Obama Sr. had a child born in Kenya in 1961. 5. Obama’s mother took a ship from Africa to England. 1. It has layers. This means it’s a fake. 2. There are too few layers for them to have been created in an optimization process. Status: False. The number of layers is right in line with what we might expect. 3. The text shows clear signs of editing. 4. The form area is slightly blurred. 5. There’s no “chromatic aberration” (made by Karl Denninger). Status: Apparently False. At the very best, Unsubstantiated. 6. The white halo is reasonable evidence of forgery. 7. Duplicate letters mean that it’s a hand-created forgery. Status: False. They’re a sign of optimization. 8. “Different sized pixels” in the background are a sign of forgery. 9. The images seem rotated. 10. There is variation in the colors in the stamps. Status: True But Irrelevant. It’s a sign of optimization. 11. The font sizes are different in the rubber stamps (Douglas Vogt). 12. White dots are evidence of forgery (Tom Harrison). 13. “Obots” have failed to exactly duplicate the PDF using automated software. This means it’s a fake. Status: The first part is True But Irrelevant, for reasons detailed in my last post. The latter part is False. 14. Two different versions of the PDF were posted on the White House web site. 15. “Kerning” is “absolute proof” the birth certificate is a forgery (Denninger). 16. Marks on the birth certificate align with those on a known forgery (WorldNetDaily). 17. A lack of text curvature means it’s a fraud (Denninger). Status: False. The text curvature exists. 18. The lack of tab stops means it’s a fake (Denninger). Status: False. Same lack of tab stops on Nordyke certificate. Even if true, it would be True But Irrelevant, as the conclusion does not necessarily follow. 19. There’s no seal in the PDF. 20. The seal is the wrong size. Status: False. Same size as on other certificates. 21. The seal doesn’t distort the lines or type on the form. This means the birth certificate is a fake. Status: Invalid. Or Unsubstantiated. There’s simply no way anyone can tell this. 22. “Hidden text” reveals a different birth certificate number (WND). Status: False. This article by Jerome Corsi touted the inaccurate reading of OCR run on the image as “hidden text.” I can’t tell you how bogus this is. 23. Dr. Chiyome Fukino described a different document. 24. a. The birth certificate number is out of sequence (Jerome Corsi/ WND). Status: False. It’s in partially-alphabetized sequence, same as other known certificates. b. Charles Bennett’s 1955 article tells us that birth certificates were numbered sequentially by date order (Jerome Corsi/ WND). Status: False to the max. c. Stig Waidelich’s birth certificate number is a fraud. Status: Unsubstantiated. There’s no evidence for this. d. Obama’s birth certificate number was “stolen” from an infant baby girl who died the week she was born. e. “Hawaii Girl’s” birth certificate doesn’t refute this claim. Status: False. The number on this certificate, accidentally leaked by Corsi/ WorldNetDaily, killed any plausibility of their own theory. Oops. Status: True But Irrelevant. That’s exactly what it should say. 26. There are different typefaces used in Obama’s birth certificate, proving it’s a fake (Paul Irey/ WND). Status: Unsubstantiated. Paul Irey stretches out all the stops to reach this conclusion. I personally spent many days on this one, and you just can’t get there. 27. The registrar’s stamp has a misspelling in it. 28. There’s a “smiley face” left in the certificate by the forger (Corsi/ WND). Status: False. Or at the very best, WAY Unsubstantiated. 29. The birth certificate is encoded with the initials of a forger (Corsi/ WND). 30. The hospital name is wrong. 31. A different doctor was reported earlier. 32. Two different hospital names have been given. Status: Probably True, But Irrelevant. 33. There are no hospital records for Stanley Ann Dunham Obama (Corsi and others). Status: Unsubstantiated. It’s a crime for anybody to release any. Privacy laws. 34. Barack Obama, Sr.’s race indicates fraud. 35. Barack Obama, Sr.’s age is incorrect. 36. The wrong name was used for Kenya. 38. Barack Obama paid more than $2 million on lawyers in order to avoid releasing his long form birth certificate. Status: Way Unsubstantiated. Almost certainly False. 39. An official from Hawaii testified that there was no birth certificate (Tim Adams/ Corsi/ WND). Status: True But Irrelevant. He was in no position to know, quoting others who were in no position to know. 40. Some customs records of airline flights into Honolulu, Hawaii from the summer of 1961 are missing (Corsi/ Arapaio Posse). Status: Apparently True, But Irrelevant. Anyone flying in from Kenya would’ve passed Customs in New York. 41. The Governor of the State of Hawaii stated that there was no birth certificate (Corsi/ WND). 42. The Democratic Party refused to certify that Obama was Constitutionally eligible. Status: Invalid. They simply used the same language they’ve used for many years for all of their Presidential and Vice-Presidential candidates. And as I recall, there was in at least one state an actual certification that Obama was, in fact, Constitutionally eligible. 43. The spacing indicates that Obama’s birth certificate is a forgery. 44. a. The penciled codes on Obama’s certificate are federal statistics markings, and show a conflict that is good evidence of forgery (Corsi/ Arpaio Posse/ publicized by Mark Gillar). Status: Oh, gosh. False. A well-documented fraud on the part of Arpaio’s birther Posse. b. The 1961 Vital Statistics Instruction Manual says “9” means “not reported” or “not stated” (Corsi/ Arpaio Posse/ publicized by Mark Gillar). Status: False. Part of the fraud. c. An image shown in the Arpaio posse’s July 2012 official video gives the 1961 federal codes (Corsi/ Posse/ Gillar). d. A second image shown in the Arpaio posse’s July 2012 official video gives the 1961 federal codes (Corsi/ Posse/ Gillar). e. “9” in the Hawaii statistical codes means “not reported” or “not stated” (Corsi/ Posse/ Gillar). 45. Obama’s lawyer admitted the birth certificate was a forgery (Dan Crosby/ Daily Pen). 46. Mara Zebest is a credible expert on whether Obama’s birth certificate is a forgery. Status: False, for reasons detailed in articles in this blog. Look ’em up. 47. Garrett Papit is a credible expert on whether Obama’s birth certificate is a forgery. 48. MRC (“Mixed Raster Content”) optimization never produces more than one “1-bit” “text layer” (Papit). 49. With MRC compression, there will always be color variation in the “text layer,” never a single color value throughout (Papit). 50. 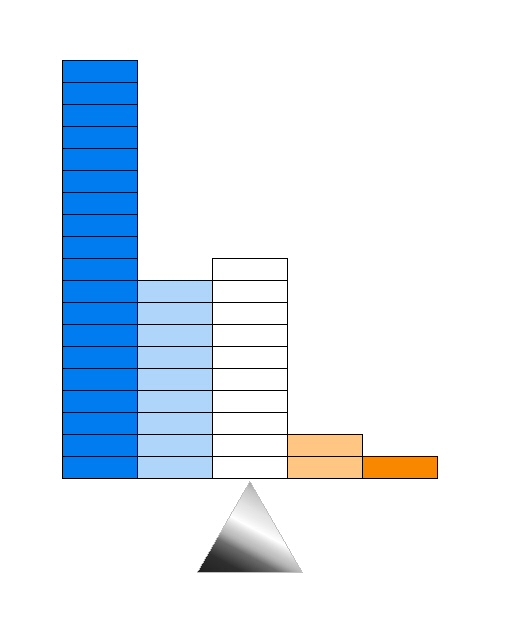 MRC compression always requires a foreground layer, rather than having an entire bitmask specified as a single color (Papit). Status: Invalid. It’s all a matter of semantics. Doesn’t really matter anyway. Irrelevant. There’s no limit on the number of text layers. 51. If the file were optimized, then the lines from the form would certainly have been transferred to a “text layer” along with (some of) the letters. 52. Obama’s short-form birth certificate is a forgery. Status: Unsubstantiated. At very best. 1. Minor v. Happersett established a “binding precedent” that it takes two citizen parents to make a natural born citizen (Leo Donofrio, Mario Apuzzo, and others). Status: Not really. The Court made clear that Wong was both “natural born” AND a “citizen.” Birthers exploit the technicality that they didn’t put it all into a single phrase to claim they “stopped short of” declaring Wong a natural born citizen. Overall, the claim is really, by any reasonable measure, False. Incidentally, the minority — whom the birthers agree with — complained that the ruling made Wong eligible for the Presidency. Only natural born citizens are eligible for the Presidency. So it’s clear that even the minority understood the implications of the ruling in the case. Status: Unsubstantiated, in a big way. Not a shred of evidence to support the claim. Status: False. “Natural born citizen” refers to the natural law, derived from the writings of St. Paul, which stated that one should obey the authorities God has set in place. The theory was that if one was born into a Kingdom, then one had a “natural” allegiance to that Kingdom and that King, and the King in turn had a “natural” and God-given duty to protect his subjects and provide good governance. 7. “Natural born citizen” has roots in the writings of an ancient Roman writer named Quintilian (Apuzzo). Status: Totally unsubstantiated, in a this-is-really-bogus kind of way. Status: False. There is no real evidence to support the claim, and tons of real evidence against it. 9. Early American laws implied one had to have two citizen parents to be a natural born citizen. 10. People born in America to non-citizen parents were regarded as aliens, and were naturalized. Status: False. Jefferson wrote a law in which everyone born in Virginia was a citizen. 13. A 1781 proposed treaty between the US and France showed that the Founding Fathers and Framers of the Constitution were referring to Emer de Vattel’s writings. Status: False. Hamilton never presented the language to the Convention. Status: False. Ramsay’s views were solely his own. Status: False. Waaaay bogus on this one. 17. The Naturalization Acts of 1790, 1795, 1802, and 1855 addressed the citizenship status of children born in the US to non-citizen parents (Apuzzo). b. These laws “abrogated” American rules on the citizenship status of children born on US soil to non-citizen parents (Apuzzo). Status: False. A law doesn’t “abrogate” a matter it doesn’t address. 18. Zephaniah Swift, in his 1795 treatise, was referring to Connecticut citizenship, and not citizenship of the US as a whole. Status: True But Irrelevant. Swift’s treatise certainly isn’t conclusive for the entire country, but it did influence key individuals in all States, and it does provide some evidence regarding what “natural born” meant in early America. 19. St. George Tucker indicated one had to have two citizen parents in order to be a natural born citizen (Apuzzo). b. Tucker’s footnote only means that the American laws agree with each other (Apuzzo). Status: False. This is one of the most bogus claims I’ve ever seen. Mario Apuzzo made it. c. The footnote actually refers to the sentence following the one it footnotes, and not the sentence that it is a footnote to (Apuzzo). Status: False. This is DEFINITELY one of the most bogus claims I’ve ever seen. 20. The 1811 James McClure citizenship case shows you have to have two citizen parents (Apuzzo, etc.). b. “Publius” was James Madison (Apuzzo, etc.). c. The Madison Administration found that James McClure was a naturalized “Citizen of the United States” under the Naturalization Act of 1802. 21. The 1814 Supreme Court case of “The Venus” defines the meaning of “natural born citizen” as requiring two citizen parents (“John Charlton,” Apuzzo, etc.). 22. William Rawle’s definition of “natural born citizen” is not reflective of what the Founding Fathers meant. Status: False. His definition is in accordance with everything we know of written by Founding Fathers and individuals close to them. Rawle himself was also a personal friend of prominent Founder Benjamin Franklin. 23. The 1830 Supreme Court case Shanks v. Dupont supports the birther claim (Apuzzo, etc.). 24. The 1830 Supreme Court case Inglis v. Sailor’s Snug Harbor supports the birther claim (Apuzzo, etc.). 25. “American common law” (including common law derived from the Law of Nations) supports the birther claim (see Lynch v Clarke, 1844) (Apuzzo, etc.). Status: False. It’s the exact opposite. 26. Horace Binney’s quote supports the two-citizen-parent claim (Apuzzo, etc.). Status: False. Binney refutes birthers. 27. Scott v. Sandford (1857) supports the two-citizen-parent claim. 28. The wording of the Civil Rights Act of 1866 supports the two-citizen-parent claim. 29. The wording of the Fourteenth Amendment supports the two-citizen-parent claim. 30. Senator Jacob Howard supported the two-citizen-parent claim. 31. Senator Lyman Trumbull supported the two-citizen-parent claim. 32. Representative John Bingham supported the two-citizen-parent claim. 33. The Slaughterhouse Cases (1872) supports the two-citizen-parent claim (Apuzzo, etc.). False. As analyzed by the Supreme Court in US v Wong Kim Ark, the statement was dicta, and erroneous dicta at that. The Court did not intend to issue any authoritative prohibition on natural born citizenship for children of non-citizen immigrants. 34. Alexander Porter Morse supported the two-citizen-parent claim. Status: True But Way Insufficient. Morse isn’t much of an authority. 35. Chester A. Arthur was the “original usurper.” (Donofrio, Tracy Fair). 36. Chester A. Arthur, in asking for a “uniform rule of naturalization,” was calling for Congress to clarify the status of children born to immigrants (Fair). 37. Elk v. Wilkins supports the two-citizen-parent claim. 38. US State Department policy in the late 1800s supports the two-citizen-parent claim. Status: True But Way Insufficient. This was the brief “birther era” of US foreign policy, and it was overruled and ended forever in 1898 by US v Wong Kim Ark. 39. Breckinridge Long’s paper about Charles Evans Hughes supports the two-citizen-parent claim. Status: True But Way Insufficient. Long was a partisan propagandist against Charles Evans Hughes, and isn’t much of an authority. 40. US naturalizaton regulations in the 20th century support the two-citizen-parent claim (Apuzzo, etc.). 41. Legally, being a “natural born citizen” has always required citizen parents (Apuzzo, etc.). 42. Historically, being a “natural born citizen” has always required citizen parents (Apuzzo, etc.). Status: False. Aliens in England were “subjects” only in the sense that they were “subject” to the King. Just as aliens in the United States are “subject to the jurisdiction of” the United States. 44. The 2011 Congressional Research Service report on Presidential eligibility was “propaganda” (Donofrio). 1. Barack Obama was born a dual citizen of the US and the UK. 2. Barack Obama was adopted in Indonesia. Status: Unsubstantiated, and would be Irrelevant if true. An adoption would not have affected his status as a natural-born American citizen. 1. Obama’s Selective Service registration postmark is evidence of forgery. Status: False. Probably the best discussion of this is at ObamaConspiracy.org. I’ve said it before, and I’ll say it again: If you don’t want Obama to be President, then vote him out. Vote for Romney and Ryan, as I will (as of this date) shortly be doing myself. Or, if that doesn’t work, look forward to a major change in 2016, because by then it will happen. But don’t twist the Constitution, mislead the American public — conservatives in particular — and try to poison American politics (eventually, for conservatives as well as for everyone else) by promoting claims that just simply aren’t true. This article was actually written back in August, and was intended to be Part FOUR of my response to Arpaio’s press conference. However, right when the article was almost finished, Arpaio Posse consultant Garrett Papit turned up here to claim that he had absolutely “proven” the PDF was “tampered with.” That was a rabbit-trail that eventually led to this article, which documented the fact that Papit had based much of his “analysis” on technical claims he made that were simply wrong. In addition, it revealed that the PDF had been examined by one of the major inventors of the kind of technology that was used to compress (or “optimize”) the President’s birth certificate image, and that genuine, world-class expert had seen nothing he would attribute to manual intervention or tampering. So this article is still relevant, and I decided to publish it as Part 5, the final part of a series. Part 1 revealed some important information on what I knew and could document regarding the background of the Arpaio “Posse’s” investigation. Part 2 exposed that Arpaio’s posse fabricated their most important evidence and in fact lied to the nation. Part 3 revealed that not only do the fraudulent codes presented to the public by Arpaio’s posse fail to match the real 1961 federal codes, they don’t match the 1961 Hawaii statistical codes, either. The rest of this article, with the exception of the very end which I am having to finish, is pretty much as I wrote it in August. An Absolute Sham of an “Investigation,” From Beginning to End. Before commenting on Arpaio’s “expert analysis,” let me state that I find it astonishing that I should even have had to write this response. If any genuine, complete, competent, real investigation had been done, my writing this would never have been necessary. There are many indications that the Arpaio posse’s inquiry was never a professional investigation — from its earliest inception. Whether conceived as such or simply steered that way by birther promoter Corsi, the “investigation” seems to have been nothing more than a witch hunt with a pre-determined conclusion. Aside from the flat-out fraudulent claims regarding the statistical coding, the only other thing the Posse produced of note was two new “experts” who supported their desired conclusion. In passing, I’ll note that even though they unquestionably knew of me and others (they even mentioned my name during their first press conference) they obviously didn’t invite anyone onto the team who wasn’t likely to further the witch hunt. This hand-picking of agreeable authorities would explain their choice of Mr. Garrett Papit. Papit has been a birther now for quite a while. In the past, he’s made an entire series of birther assertions that have been shown to be entirely invalid. For this reason, Mr. Papit’s eagerness to reach the Posse’s desired conclusions — rather than any track record of accuracy — looks to have been his most important qualification. Lest you think I’m exaggerating, below is an example of 7 separate birther claims made in the space of just a few hours by Mr. Papit last year. And every single one of those 7 claims had already been debunked as good evidence of Obama’s ineligibility prior to the time he made them. I’m not going to go into detail on each of these, because every one of them has been exhaustively covered already. The falsehood of #1 has been shown both here (several different ways!) and by many other writers. The remaining six points were covered at length in my book, published months prior to Papit’s posts. Now these aren’t the only known invalid birther claims that Mr. Papit has bought into and promoted. But seven in a row, on one single page, ought to be enough to show that Mr. Papit — regardless of whether he may do IT stuff for a Fortune 500 company (as he pointed out to me in an email) is not a credible authority on the facts. Having said that… I noted earlier that I thought (at the time, at least) that Garrett’s work was better than that of some of the other birther “experts.” Some of these descend into the downright awful. So Mr. Papit comes out with yet another birther report — this one’s 30 pages — which makes technical arguments that Obama’s birth certificate just has to be a hand-created forgery. According to his theory, certain kinds of compression just “can’t produce” the effects seen in Obama’s birth certificate. I frankly found their second expert, Tim Selaty, Jr. more credible than Papit. When it comes to basic computer knowledge, Selaty seems quite competent enough. And at this point, I don’t doubt his sincerity; although I must confess I’ve been burned by assuming good motives of birthers before. 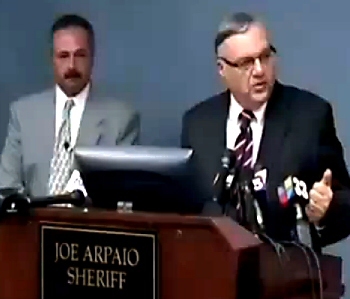 In any event, Mr. Selaty didn’t even get his paper presented to the public by Arpaio’s posse. Instead, it was published at his own site. Why did Arpaio’s posse use Selaty’s name but not his paper? I suspect two reasons. First, I suspect they didn’t want to reveal Selaty’s age. Selaty is about 22 years old, and has no known prior track record of this kind of analysis at all. There’s nothing wrong with that in itself; but personally, I’ve been working with computers since before Selaty was born. So Selaty is hardly the kind of distinguished expert the Posse would like for you to believe. They’re basing their claims that the birth certificate of the President of the United States is “indisputably a forgery” on the statement of an unknown 22 year old? Really? Secondly, while Selaty was generally supportive, his paper seemed to contradict some of the Posse’s earlier claims. Like the claim that the birth certificate is a hand-constructed work of graphic art. Now I’m not going to do a blow-by-blow against either of these papers, because not only is such a response entirely unnecessary, it’s not even appropriate. Both papers were fatally flawed from the very beginning, because the entire approach and methodology used by both authors was wrong from the very start. Whatever their basic technical competence, I can hardly describe to you how bad, how flawed, how invalid the methodology used by both Garrett Papit and Tim Selaty, Jr. is. And it’s the same methodology used by other birther critics of the PDF. Assume that IF Obama’s PDF file was created through optimization and other innocent processes, you can find those exact processes, duplicate them, and get results that are really, really close to the original. Now on the surface, this sounds like a fairly reasonable method. But it isn’t. Let me show you a couple of gigantic flaws here. The first one seems obvious, at least to me. It assumes that all of the relevant equipment, software and settings that produced the PDF is readily available to you, both in terms of your knowledge of what is out there, and in practical terms. It also assumes that you can test the trillions or quadrillions of possible combinations exhaustively enough (both of their testers ran “more than 600” tests) to find what you’re looking for. Entities like the United States government tend to (let’s be frank here) spare no expense when it comes to outfitting themselves. A multi-million-dollar budget for White House IT equipment seems not only plausible, but most likely. I frankly don’t have the millions required to buy and test all available multi-million-dollar systems, and I doubt folks like these birther experts do, either. I also know from experience in working with the federal government that the budget is also likely to include custom software as well as modification of commercial software. So the notion that we can find exactly what software and hardware systems the White House used unless they tell us is a bit unrealistic. To say the least. The second gigantic flaw is perhaps a bit more subtle, but just as deadly. If not more so. It has to do with testing one theory and not the other. Theory A: All the characteristics of the file were produced through optimization (or “compression”) and other innocent processes, such as a couple of smudges on the scanner glass, maybe somebody adding a clipping mask to clean it up a bit and hide those smudges, and so forth. Now we propose to test ONE — and ONLY one — of those two theories. And if we can’t produce the file by that means, then we will accept that the other theory is correct. Do you see the hole here big enough to drive a train through? If you’re going to take an approach of demanding that a theory must be able to produce a duplicate, then in order for your approach to be even remotely valid, you have to test BOTH of your theories. Not just one. And you’re going to have to do so objectively. Not to mention exhaustively, which is a very, very tall order. Why? Well, you’re presuming that by ONE theory you ought to be able to produce a duplicate. You can’t just assume that they theory you like will produce a duplicate. If you demand that the theory you don’t like must be able to produce a duplicate, then you have to also demand the same thing of the theory you DO like. Now if you’re only testing the optimization theory, then you stand a really good chance of simply proving your own ignorance. Because given the unlimited range of possible software that might have produced what you see — including obscure high-end programs, and custom programs whose code and algorithms aren’t even publicly available — and given the possibility of some innocent multi-stage process (e.g., it passed innocently through multiple users including multiple operating systems and software packages) there’s a really, really good chance that it is simply beyond your scope to determine the exact process. 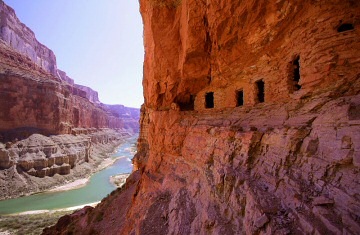 The Grand Canyon Was “Indisputably” Dug by Native Americans. The same method used by Arpaio’s Cold Case Posse allows us to easily “prove” that the Grand Canyon was dug by the American Indians. We go out west. We find this enormous canyon, with a river at the bottom. In many places, the canyon is over a mile deep. Wow. That’s what we call “anomalous.” That’s really anomalous. And right away, we can think of two possible theories to explain it. Theory B: The Grand Canyon isn’t really natural. It must have been hand-dug by somebody, and simply made to look natural. So let’s use the same basic method Arpaio’s Posse used on the birth certificate. First, let’s look around and see if rivers ever produce canyons like this one. 2,500 Miles of the Mississippi River -- Plus Hundreds of Other Examples from All Over the World -- "Prove" that Even Massive Rivers Just Don't Create Mile-Deep Canyons. 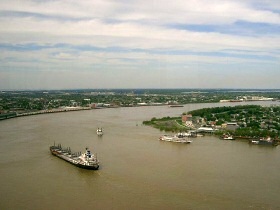 We look at the Mississippi River. Nope. No canyon over a mile deep there. Not remotely. We look at the Amazon. Nope. No canyon there over a mile deep. Not at all. We look at a bunch of other rivers: The Ohio River, the Tennessee, the St. Lawrence, the Missouri. We look at a bunch of rivers in Europe and Asia. Not a single one produces a canyon thousands of feet deep. True, we do find some rivers with canyons (just as Arpaio’s posse admitted that optimization does produce layers). Okay. So we proclaim on that basis — tentatively, of course — that rivers simply do not create canyons like the Grand Canyon. When our idiotic — I mean invalid — conclusion is challenged, we then go out and find people to “investigate whether it’s possible” that a river could have created the Grand Canyon. Again, we are using the EXACT SAME basic method here as that used by Arpaio’s Cold Case Posse. And those hand-selected experts — because we take care to avoid choosing anyone to be a part of the team who’s likely to reach a different conclusion — build models of rivers. We have two experts who each build 600 different models of rivers. They even go so far as to use the same kind of rock found in the Grand Canyon, and to estimate erosion over a long period of time. A particular problem is that rivers just don’t cut very deep. And so our experts, using their methods, are unable to duplicate a Grand Canyon. It’s “conclusive,” then! We call a nationwide press conference to announce the news. Voila! By the process of elimination, we have “absolutely,” “indisputably” “PROVEN” that the Grand Canyon was dug by the Indians! Now, do you see the “mistake” we made? Or perhaps — depending on our motives — the sleight of hand that we pulled? We failed to equally and realistically test the plausibility of our second theory as well. We failed to apply the same kind of standards in testing whether the Indians could have dug the Grand Canyon. And we assumed that if we couldn’t reproduce the first theory, then the second theory “must” be true. A conclusion is only as good as the method used to produce it. And This… One… Is… Garbage. To those who would claim that we must duplicate the document using the exact software and settings: Let’s try this. Why don’t we take the same standard of proof that you want, and apply it to YOUR theory? Those who claim that the optimization and clarity-enhancing artifacts mentioned are proofs of forgery have never duplicated the file, either. So… you produce a credible forgery, working by hand, showing ALL of the characteristics that we see in the Obama birth certificate PDF, AND THAT YOU CLAIM ARE EVIDENCES OF FORGERY. And once you’ve finished with that project — once you’ve successfully duplicated the document — THEN YOU MUST CLEARLY EXPLAIN EXACTLY WHY, AS A FORGER, YOU CHOSE TO DO ALL THAT YOU DID IN PRECISELY THAT WAY. I will briefly note that the experiment has been attempted. Ron Polland, a birther from way back, hand-created a “duplicate” of Obama’s long form birth certificate that at first glance looked similar. But it lacked many of the known characteristics of Obama’s PDF — such as the to-the-pixel duplicated letters. As such, it came nowhere near actually reproducing the document. And by his own account, it took him five months to create it. Five months, to hand-create a “duplicate” that wasn’t even a duplicate. And with not the slightest of remotely plausible explanations for why such a “forgery” would have been created in exactly that way, or why those “anomalies” would have been hand-inserted into such a document. List the theories, list the known characteristics of the file, and evaluate which theory or theories can explain the observed characteristics and which can’t. Such a method will almost certainly produce one of two possible results. Either we will find that there’s more than one theory which can adequately explain what we see, or we will find that one theory passes, and the other one fails. I have done just that in the table below. A green “check mark” means that a particular theory is consistent with the observed characteristic. Two check marks mean that the characteristic clearly supports a particular theory, and three check marks mean that the characteristic strongly supports a particular theory. Likewise, a red “X” means that a particular characteristic does not seem consistent with a theory. Two red X’s mean that the characteristic really isn’t consistent with the theory, and 3 X’s mean that the characteristic can be considered strong evidence against the theory. Lower quality than AP document – Would require either two separate forgeries, or some means of transforming — optimizing — the original forgery into the PDF we have. White halo separated onto different layer from some letters (bitmapped), but on same layer with some letters from same words (antialiased) – Why? For heaven’s sake, why? “Scattered pixels” in background image Pretty hard to get there this way. – obvious and known artifact of optimization – this file WAS optimized. To-the-pixel duplicated letters — including those in the form – absolutely insane from the forgery point of view. There might well have been duplicates in the actual data — but the form would’ve simply been scanned, and that would’ve been it. – STRONG evidence of optimization. This duplicates the same thing seen in files KNOWN to have been merely scanned and optimized, and not hand forged. Apparent rotation of images — — could happen either manually or innocently. The alleged “TXE” Viewed in AP document, it’s clear it’s an “H.” Consistent with authenticity. Statistical codings False allegations made by birthers Not federal, Hawaiian. Awaiting analysis. Inability so far to exactly reproduce document through optimization, etc. Inability of birthers to exactly reproduce document — with all of its characteristics — through manual processes — and to explain exactly why they did it that way — ALL characteristics are plausible via optimization and other innocent processes. Virtually no characteristic of the document is plausible via the forgery theory. There Are Multiple Characteristics Here that Just Don’t Occur Naturally in Hand-Produced Graphics Files. The basis of the crank birther claim that Obama’s PDF is “forged” is that it contains “anomalies” that — according to them — do not occur naturally in optimized files. I say “according to them” because — as demonstrated in the book I wrote on the topic — we have known examples of all of the most important anomalies actually occurring in files that are known to have been scanned and optimized. What they won’t tell you is that this kind of analysis — applied to their own theory — destroys it. A background form in which letters are scattered, apparently randomly, over multiple layers. These are characteristics that simply do not occur “in the wild” of any kind of normal computer graphic art. And the claim that “the forger was incompetent” is absolutely no excuse. Not even a total newbie, or a complete graphics idiot, would create any of these characteristics. On the other side of the equation — taking the characteristics of the document one by one — we can see that EVERY known characteristic of the PDF is consistent with authenticity. As we’ve seen, all of the most important “questionable” characteristics in the PDF are already known to exist in other scanned and optimized files. In short, the birthers’ call to duplicate the document — if applied equally — is utterly disastrous for the forgery theory. A person accused by a birther is guilty until proven innocent. 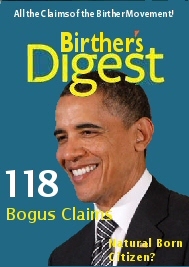 Non-birthers must disprove every single birther claim or such claims are automatically true (in spite of a track record of over 100 such claims demonstrated to be without merit, at least 85 of which have been shown to be outright false). And the requirement to actually prove a claim applies to non-birthers, but never birthers. Same Conclusion on the PDF As that Reached a Year Ago. Having thoroughly investigated the matter in every respect that we could come up with, we’ve been able to find no good evidence at all — in regard to the characteristics of the PDF file itself — to support the idea that the file is a hand-built forgery. On the contrary, the evidence is pretty overwhelming that the PDF document — far from being hand-built by a human — was simply optimized by the computer. A year later, there are only two small things I would adjust in that statement. First, I would include the fact that there may be one or two small characteristics that might be the result of innocent processes that don’t fall into the category of optimization. A couple of smudges on the scanning glass. Maybe — though this is far from certain — a small amount of human intervention to add a margin to the document and make it more presentable. Secondly, I would be more emphatic. The evidence is overwhelming that the PDF document — far from being hand-built by a human — is the result of normal and innocent duplicating and presentation processes. By far, the most significant of these is optimization. Finally: Arpaio’s So-Called “Investigation” Was a Crime Against the Dignity and Authority of Legitimate Law Enforcement Investigation. As far as I can see, such an “investigation” — including its fraudulent claims regarding the 1961 statistical manual — can only have happened through outright corruption, gross incompetence, or some combination of the two. Law enforcement agencies have a responsibility to ferret out wrongdoing. But they also have a responsibility not to trump up charges, not to engage in witch hunts, and to have genuine probable cause before making either arrests or public accusations. Whether Sheriff Joe Arpaio possesses any technical competence of his own is irrelevant. If he was going to sponsor an investigation, Mr. Arpaio had an obligation to make sure it was accurately and professionally done, and that the results would reflect reality — rather than brushing aside the competent evidence, merely to parrot birther fantasies. Mr. McCann has written a paper which makes certain claims that have been discussed in times past on this blog. He is of the opinion that his position is absolutely true, and that those who disbelieve the claim that it takes two citizen parents to make a natural born citizen know nothing at all about the issue. And he would like to debate that proposition. I won’t go into all of the discussion that’s taken place so far — it’s available in the comments section of that article, as there has been no way to get Mr. McCann to actually read the relevant contents of this site, and get him to post in any thread other than that one. He did, however, propose that a separate thread be set up where he and I could engage in a debate. I retired from the “natural born citizen” claims in July, having satisfied myself that I had conducted a thorough survey of the legal, historical and Constitutional meaning of the term, and had addressed every significant claim that I could find on the subject. And at this point, I have other things I am trying to accomplish, and really don’t have much time to any more devote to birtherism. “I would like to challenge you to an honest debate on the question of whether or not the grandfather clause of the Constitution has ever been used and, in particular, how the citizenship status of four men: George Washington, Thomas Jefferson, Alexander Hamilton and St. George Tucker; changed throughout the course of their lives. This, as John mentioned, has not been a topic addressed here (or, really, anywhere else that I’m aware of) and it is only peripherally related to the issue of President Obama’s eligibility, so it is as innocuous and self-contained a topic as we are likely to find and neither of us has much of a head start (although I have spent some time thinking about it, I’ve never done any research). McCann has been very clear in his claim that the Founding Fathers required the “grandfather clause” (“or a Citizen of the United States, at the time of the Adoption of this Constitution”) because none of the Founding Fathers were natural-born citizens of the United States. This shows how thoroughly you do not understand the subject matter. Washington was not a natural born citizen. 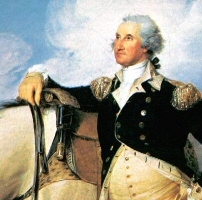 Not only was Washington not born on American soil (as there was no United States), and his parents were not only not citizens of the United States, but rather SUBJECTS of the Crown, providing Washington with undelible allegiance to the Crown from birth. This is why Washington and the other signers of the Declaration knew they must “hang together, or they would assuredly hang seperately”. Washington was guilty of treason against the Crown. However to qualify under the Article II requirement, the founders included the “grandfather clause” allowing those who were citizens at the time of the signing to be President. This Grandfather Clause of Article II applied to the qualifications of 1) Washington, 2) Adams, 3) Jefferson, 4) Madison, 5) Monroe, 6) J.Q. Adams, 7) Jackson, and 9) Harrison, all of whom were born on British Soil, and to parents who were British subjects. The first President not qualifying under the Grandfather Clause, but as a natural born citizen, is 8.) Martin Van Buren. Van Buren was born on Dec. 5, 1782, near Albany, NY, to two parents who were both U.S. Citizens. Every predecessor to Van Buren was born British Subjects and with British allegiance through the British subjecthood of their parents. You should really read the Constitution sometime. So I have decided to set up this thread that would facilitate debate on the matter. And how Mr. McCann fares on this particular topic could be an initial test of his scholarship in general. If he is able to prove his point, and — convincingly — factually and historically demonstrate that neither Washington, nor Adams, nor Jefferson, nor Adams, Monroe, etc., were natural born citizens, then he will have passed his initial test. On the other hand, if he can’t convincingly prove the point factually from the historical and legal record, then I think it is safe to assume that Mr. McCann is a bloviating failure of a pretended historical and legal scholar who in fact doesn’t have the faintest clue what he’s talking about. Sound reasonable? It sounds reasonable to me. Opinion Solidly Addresses the Second of Two Major Claims Made by Sheriff Joe Arpaio’s Press Conference in July. Like Professor Ricardo de Queiroz of the University of Brasilia. On July 18, Sheriff Joe Arpaio of Maricopa County, Arizona (“America’s Toughest Sheriff”) stated, at a press conference, that President Obama’s birth certificate was a “proven” forgery. In doing so, Arpaio relied almost entirely on two things. The first of these two major claims has been examined here. The second was the opinion of two individuals — Garrett Papit and Tim Selaty, Jr. — that the characteristics of the birth certificate PDF simply could not be innocently explained. Mr. Papit’s report was published by Arpaio’s office. But although the Sheriff’s office mentioned Mr. Selaty’s name, they didn’t publish his report or give him much prominence. Instead, Mr. Selaty had to post the report on his own web site. That seemed odd at the time. However, it seems to me that this was probably for two reasons. First, Selaty didn’t reach all of the same conclusions that some of the other individuals quoted by the Posse did. It appears that publishing Selaty’s report would have raised questions about why this was the case. Secondly, Mr. Selaty is approximately 22 years old. One might easily wonder — with no disrespect intended to Selaty, who seems to have decent enough general computer skills for someone at the beginning of a career — why, exactly, was Arpaio’s Posse relying on a 22 year old for an “expert opinion” regarding the birth certificate of the President of the United States? Personally, if I were accusing the President of the United States of having a forged birth certificate, I would rely on real, recognized experts in the appropriate fields. And most certainly, no 22-year-olds would be in the mix. Unless, of course, they were legitimate, indisputable, widely recognized, certifiable geniuses who had finished their first PhD by, say, age 18. Again, no disrespect intended to Tim Selaty. But this is not the case here. He was very emphatic about that point. For any readers who are unfamiliar with the background of the issue, my own technical evaluation — published just over a year ago after some 500 hours of completely independent investigation — was that every single characteristic of the PDF file that was known at that time could easily be explained by innocent processes. The most prominent of these was optimization (or compression) of the file. In fact, I found the technical evidence to be overwhelming in that direction. In other words, not one of the significant birther allegations — and I examined all of them — stood up under honest and competent scrutiny. Challenged to prove his charges, Papit could not do so. He eventually retracted his false accusation and apologized. However, it took several days for him to do so. Garrett Papit Claimed that an Optimized File Can Have Only One Text Layer. The gist of Mr. Papit’s paper — the one publicized by Arpaio’s office — was that there are really only two forms of file optimization or compression — and that the characteristics of Obama’s file most assuredly fit neither. Probably most importantly, he claimed that “mixed raster content” compression never produces more than one bitmap layer. Since Obama’s PDF file has 8 bitmap layers, this claim — if true — could raise some legitimate questions. After reviewing Mr. Papit’s paper, I personally found his technical claims to be dubious — especially in regard to “mixed raster content” file compression. They seemed to be more assertions on Papit’s part than solid statements backed up by any documented technical evidence. And there were other strong reasons (perhaps a topic for another post) to doubt Papit’s claims. Nonetheless, I did not have at my hands any immediate and concrete proof that would categorically show his technical claims to be wrong. In fact, while I have broad experience in many different aspects of computer technology dating back more than 30 years, I am not an expert in the specific field of mixed raster content (MRC) compression. Neither, by the way, is Garrett Papit. Papit is basically a computer programmer for JC Penney. He has a Bachelor’s Degree in Computer Information Systems, and an MBA with a concentration in Managerial Information Systems. I’m sorry, but “familiar with” doesn’t cut it for the type of blanket claims that Papit has made in his paper — and on this site as well. I’m “familiar with” carburetors, but I can’t give you a definitive opinion of what one is and is not technically capable of. And if I were to pretend to do so, I would be far exceeding my level of expertise regarding carburetors. That would be unprofessional… at best. In order to evaluate Garrett Papit’s claims regarding mixed raster content file processing, I searched for US patents on the basic technology — and found well over 100 of them. It seems that MRC compression is not quite as simple and cut-and-dried a process as Mr. Papit — in the half-dozen sparse pages he wrote about the technology — would have people to believe. There were two possible ways to evaluate the truth of Papit’s claims. The first would have been to invest a great deal of time to really learn and understand the various possible ins and outs of mixed raster content (MRC) compression. And the second option was to consult a real, existing expert in the field. I chose the second option, for two reasons. First, I’ve invested far too much of my time into this issue already. I didn’t want to invest the time to develop an entire body of knowledge about MRC compression, without any need or intent to apply that knowledge in my own profession. And secondly, I felt that the opinion of a recognized expert in this field would be of far more value than my own opinion anyway. For These Reasons, I Contacted a Real Expert. In Fact, I Contacted One of the Foremost Experts in the World. As I examined patents and technical papers written on MRC compression, one name in particular seemed to pop up again and again — that of Ricardo de Queiroz. 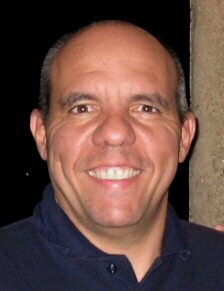 Ricardo de Queiroz is one of the primary fathers of this entire technology. The very first “mixed raster content” patent in the United States was granted to Leon Bottou and Yann Andre LeCun… But the 2nd, 4th, 5th, 7th, 8th, and 13th patents were granted to Ricardo de Queiroz and his team. That’s about half of the first dozen or so patents. And some of his team members and students have also gone on to further develop the technology. 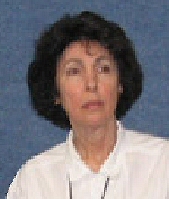 In addition, Professor de Queiroz appears again and again as an author of the available technical papers on MRC compression. Now there are certainly many other individuals who have contributed to the development of this technology; and several in particular have made really big contributions. But I decided, based on what I read in the patent filings and technical papers, that if I were going to contact one expert in the world on this particular technology, the person I would pick would be Ricardo de Queiroz. So I contacted him. And Dr. de Queiroz was gracious enough to reply — for which I thank him. In clarifying what compression technology is capable of, he has rendered a genuine service to all who have held any interest in this controversy. Before I present Professor de Queiroz’s response to my inquiries, we should briefly note a couple of other things. 1) Professor de Queiroz did not simply volunteer an opinion on Obama’s birth certificate PDF. His expression of an opinion was a response to being asked for an opinion. 2) American politics has little impact on a Brazilian living in Brazil. This being the case, it would be very difficult to attribute any political motive to a technical opinion expressed by Dr. de Queiroz. 3) In any event, a technical expert of de Queiroz’s stature, generally speaking, gives technical opinions, not political ones. And such an expert, generally speaking, would never risk the reputation he’s built up over decades by issuing an opinion that would be easily shot down by the other top experts in his field. As high school football player is to Tim Tebow. As Sunday golfer is to Tiger Woods. As high school physics teacher is to Stephen Hawking. Now it’s very possible that Garrett Papit might well be a better banjo player than Ricardo de Queiroz. He might even be better at wood carving, or Volkswagen engine repair. Professor de Queiroz’s evaluation was expressed in an email letter to me. I have boldfaced some of the most important points. I have also added a few notes of my own, in brackets. There is no possible way I can tell if the PDF of President Obama’s birth certificate (POBC) made available by the White House is a “forgery” or not. The forgery can happen before being processed not to mention that the paper document itself could be forged, before the scanning. Thus, this is not the point. The question is whether all these artifacts we see after rendering the PDF of POBC are signs of forgery. I do not see that. I see them more likely as a result of inadequate processing. The document has poor quality and it has been aggressively processed, no questions about it. The question is whether the corruptive processing was individual with the intent of forging it, or if it was automated within regular MRC segmentation. If it was a forgery it was a very sloppy job. Any photoshop-knowledgeable person, of the garden variety, can do a much better job than that. If it is automated, it is a lousy job too, but bear in mind that algorithms for these jobs are not trained on specific documents. They were more likely developed, trained and tested on magazine pages and books. A US birth certificate is unlikely to give good results because it may be an outlier in the big picture of all documents they had in mind when developed their MRC tool. MRC is about separating the single-image document into multiple layers, hopefully each one with a given characteristic. This has to be done automatically, in what we call segmentation. What I see in the document are signs of MRC segmentation consistent with strategies in line with the techniques pioneered by DjVu. I (and my students) do not advocate doing the segmentation that way, but that is not the point either. In fact, I would not be surprised if the software which segmented the WH document was derived from some DjVu tool. An Illustration From a Seminal 1999 Technical Paper by Professor and Inventor Ricardo de Queiroz Shows Multiple, Different-Colored Bitmask Text Layers. Hmmm. Didn't Garrett Papit Claim That Was "Impossible?" They first try to “lift” the text to another layer. They can find more than one type of text and place them in different layers. The rest is background and they compress with standard image compression methods. In the POBC [President Obama Birth Certificate] I see lots of signs of that. It missed a lot of text, like the R in BARACK and in many other places. The missed text is aggressively compressed with JPEG for example, which justifies the damage to those text parts. About the halos around some text: I am not sure why they do it, but it may be trying to suppress another halo problem caused by “lifting” scanned text that leaves some of the foreground in the background and vice-versa causing trouble to compress the layers. We wrote some papers about it. You can still see background through inside some “O” letters and inside the check boxes. There might be morphological dilation around the text mask or the segmentation is block-based. The halo could be caused by the foreground in a dilated mask, or by processing the background. One plausible alternative is that the algorithm finds text as the letters with a bit of the surrounding background for safety. Some Adobe tools do that. Furthermore, the text is lifted to the foreground and sharpened (nearly binarized) making the background surroundings to disappear. When the text layer is pushed back onto the background plane the letter surroundings become halo. There is also some grayish lifted text, which was perhaps found to have different statistics and was then treated differently. The mask is binary, the foreground (text) can have any color or texture, or even parts of the background around the text. All these are conjectures; different algorithmic choices might produce similar results. I took a birth certificate which has a similar background pattern, scanned and compressed using an older DjVu tool. It has shown the same problems as POBC, like text letters that were missed and sent to background, and multiple text styles. It didn’t have halo, though, because its algorithm decided to obliterate the whole background pattern. Perhaps if I had time to toy around with packages and parameters I might find something very close to what was used to generate the document shown by the WH, but I unfortunately do not have the time right now. In summary I can only say I see much stronger signs of common MRC algorithmic processing of the image rather than some intentional manipulation. Professor de Queiroz was also gracious enough to answer a few questions I asked him regarding his opinion. Again, I have italicized his replies, and boldfaced the more important points. 1) I understand (and since initially writing you, I have also found an example of this in a paper you wrote) that MRC compression can have multiple bitmasks without necessarily having to have corresponding foreground layers. I also understand that there is no particular reason why a bitmask would need to be more than one color. And it seems to me that having multiple single-color bitmasks is likely a space-saving technique. Would you say all this is correct? Yes and no. MRC can have a flat color for the whole foreground layer. This is equivalent of a mask without a foreground plane as a bitmap? Yes. But there is an implicit foreground plane, with all pixels at the same color. If there is a foreground plane/layer or not is a semantic question. Just to add to your confusion, these DJVu like algorithms do not necessarily follow the MRC standard. They are MRC-like. As for the space saving, it depends on what is done. Because of the redundancy of multiple layers there are many ways to generate the same rendered image. This question perhaps needs to be worked a little more before I can give you a good answer. What text styles you see in the document? As a human, I would wild guess the following: (a) title is one, (b) the typewritten data is another, (c) the boxes titles like “1a Child’s first name” is another, (d) the signatures are another, and same goes for the (e) handwritten stuff and the (f) stamped dates. Not sure I missed any other. But the segmentation algorithm apparently decided to divide the document into few types of text information. First there is what it thought it was black text (a; b with mistakes like the R in BARACK; c with mistakes like the 1 in box number 10; parts of the signatures as the last letters of Dunham’s signature, some handwritten stuff in boxed 18b and 19b). Second, there are a few gray text or whatever quality it thought to make any distinction from the first case. Parts of the boxes 17a, 20 an 22 seems to be put in one pot. The stuff on the bottom is all placed in another pot, even though there are lots of different styles there. But there are a few sub-parts of that that might be yet another text color. I think this is a stamp. Thirdly, everything else is background, which includes a lot of the text and graphics. 3) I understand your overall conclusion to be that the things you see (including the bitmask layers, etc.) are explainable by MRC compression; and you do not see anything that appears to you likely to have been the product of manual manipulation. Is this correct? So there we have it. The bottom line? Not only is it NOT “proven” that the bitmap layers and other obvious artifacts in Obama’s PDF are the products of manual manipulation; one of the fathers of the kind of compression technology used in the birth certificate has now examined the file, and he sees no indication that the artifacts — including the multiple bitmap layers — are anything BUT the result of innocent, technological processes. In other words: The Arpaio Posse’s most recent claims, just like their earlier claims, are worthless. And after a year and 5 months of literally dozens upon dozens of such claims by birthers, there’s still no real indication in Obama’s PDF of any kind of manual manipulation or “forgery…” at all. Meanwhile, Joe Arpaio / Jerome Corsi / Joseph Farah / WorldNetDaily (and other birthers) continue to studiously ignore and brush aside all real and competent technical opinions in favor of whatever “expert” they can find — whether 22 years old or not — who will back the claims they want to promote. Let me ask of persons reading this blog: If you should know who “Hawaii Girl” is (and a few people do) please do not publicly mention her name, or contact her about her birth certificate. She was willing to have one conversation, and gave generously of her time to do so. But she does not want to talk any further about her birth certificate. And at the moment she has some additional personal things that require her time, attention and emotional energy. So please respect her privacy and emotional space. If you must call me a liar and claim that I never spoke to her, then go right ahead. Attack me, but please leave this nice woman alone. In fact, after talking to “Hawaii Girl,” I debated about whether I should mention the conversation at all. In the end, I weighed the odds of other people contacting her if I said nothing — based on questions already raised — versus my making public that I had spoken to her and asking people specifically to respect her wishes. After my conversation with “Hawaii Girl,” I am hoping that everyone will honor that request. It is really her request, and I am supporting her in it. 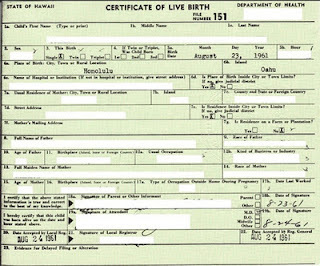 If you absolutely must contact someone about this birth certificate, then contact Jerome Corsi — and ask him to release an image of ONLY the small section of that birth certificate that shows the parents’ race — without disclosing any further personal information about “Hawaii Girl.” We will be able to tell based on the image that I present here whether what Corsi releases is authentic or not. In this article, I will also give good evidence as to why nobody needs to bother “Hawaii Girl” at all. I think we have plenty of information to authenticate that her birth certificate does not say “Indian,” or anything that would be classified “Indian,” as would be the case if the Posse’s codes matched those from Hawaii in 1961. If “Hawaii Girl’s” parents aren’t Indians, then, it’s clear that the race codes presented by Arpaio’s posse can’t be the Hawaiian state codes for 1961 either. Before moving on to the evidence: I also want to go on record as saying that I completely believe that what “Hawaii Girl” did in making her birth certificate available to Corsi (and therefore through him to WorldNetDaily) was 100% honorable, admirable and commendable. I wholeheartedly believe that she acted completely in good faith, having no partisan agenda, in order to honor the request of a friend, and to provide some useful information to someone she had no reason to think she couldn’t trust. I can also tell you that it did not sound to me like she expected any portion of her certificate to be published. She has not followed the issue and seemed surprised to hear from me about it. It’s already been proven that the codes presented by Sheriff Arpaio’s posse were NOT the federal codes that they claimed they were. So let’s entertain the idea instead that the codes they showed were accurate for the State of Hawaii. Yes, I know that’s unlikely, given that we know where they came from — 1968 and 1969 federal codes, nowhere near 1961 — but let’s entertain the idea anyway. This would mean (according to their chart) that “Hawaii Girl’s” parents, both with a penciled code of “3,” would’ve both had to be “Indians.” And she would’ve had to be Indian, too. The mother’s race is the bottom line of text; and the father’s race is the top line, mostly obscured by the seal. Can you read it? I tried last fall, and couldn’t make it out. Still, based on what we can see on the certificate itself, it does not appear at all likely that her parents were Indians. Certainly, neither race says “Indian,” or any obvious Native American tribe that comes to mind. Both are way too long. Jerome Corsi: Please Give “Hawaii Girl’s” Birth Certificate Back. “Hawaii Girl” mentioned that she had loaned her birth certificate to Jerome Corsi last year, at the request of a friend. This was with the understanding that Corsi was going to use it to compare to other known birth certificates, and that she would be getting it back. She has twice requested its return — probably through her friend who asked her if she would loan it — but Mr. Corsi has not returned the certificate. This is the only copy of her long form birth certificate that “Hawaii Girl” possesses. It is her valuable personal property, and Hawaii Department of Health rules now make it very difficult to get a replacement. It is an intensely personal document, and I would expect it has some emotional value to her. “Hawaii Girl” herself seemed rather resigned to the fact that in spite of Corsi’s promises, and in spite of the fact that the certificate is hers, she won’t be getting it back any time soon. Now I don’t want to create any hassles whatsoever for “Hawaii Girl.” But I do think that “Hawaii Girl’s” friend should quietly get Mr. Corsi to return the certificate to “Hawaii Girl,” without “Hawaii Girl” having to be at all further involved. So why am I telling you this? Mostly to let you know why I was unable to obtain an image of her parents’ race. I think “Hawaii Girl” would probably have been willing to provide that for us, but Corsi has her certificate. I Previously Identified “Hawaii Girl’s” Mom as Having Hawaiian and Korean Roots, and Her Dad as Having Hawaiian and Chinese Roots. Actually, I had also identified an Anglo ancestor in her mother’s background as well, but I didn’t mention that publicly, so we won’t count that. In any event, “Hawaii Girl” was able to be even more specific. She stated that her mother’s background was “Hawaiian / Korean / German / English,” and her father’s background was “Hawaiian / Chinese / Portuguese.” I had not known about the German and Portuguese parts. Even armed with this knowledge, I must confess that the race entries eluded me for a little while longer. What “Hawaii Girl” had told me seemed even longer than what was there. And the father’s race in particular had always seemed virtually hopeless, being obscured by the seal except for the last few letters. I had already decided, even before speaking to “Hawaii Girl,” that the last word of her mother’s race (bottom line) was likely to be “Korean.” And it almost looked as if the first part was “Hawaiian,” except… that just wasn’t right. It certainly looked like there was an “ian” before the presumed “Korean.” But for the first part to be “Hawaiian,” the letters simply did not fit. And there seemed to be no “German” or “English” in the mix at all. And then, staring at the certificate, it hit me. Bingo! Compare it, letter for letter, white versus black. This very clearly appears to be the correct solution to the puzzle. The obvious test was to type that phrase, using the exact same fixed font and spacing, and see if the letters fit. So the race entries on “Hawaii Girl’s” certificate almost certainly say “Hawn-Caucasian-Chinese” for her father, and “Hawn-Caucasian-Korean” for her mother. Does This Mean the Cold Case Posse Lied About the Hawaii Codes? The short answer is: The evidence presented is not enough to establish conclusively that the Posse lied about the Hawaii codes. However, they have made a clear claim that “9” in the Hawaii codes meant “not stated.” And we know at this point that they did lie about the federal codes. Finally, we know that they have claimed to have received pretty much zero cooperation for their birther investigation from the authorities in Hawaii. And we also know that they did not produce any set of codes claimed to be from Hawaii. Given that they flat-out lied about the federal codes, I’d say it’s pretty clear at this point that they can’t be trusted regarding any Hawaii ones. Note: I originally referred to this person as “New Girl.” I have edited the article to reflect my newer name for her — “Hawaii Girl.” If you see “New Girl” mentioned in some of the comments below, it’s all the same person. The 1961 manual Arpaio’s Posse claimed to have has been found. And it completely contradicts everything they claimed it said. So why won’t Arpaio’s office either produce their supposed evidence or publicly retract their claims? Because doing so would be admitting they’ve been caught in a major fraud. That’s why. Sheriff Joe Arpaio (“America’s Toughest Sheriff,” Maricopa County, Arizona) has been widely criticized for his “birther” investigation claiming that President Obama’s birth certificate is a forgery. And his “Cold Case Posse” has been widely portrayed as inept. But the evidence clearly shows that Arpaio’s Posse goes well beyond the “inept” — into the downright fraudulent. Arpaio and His Posse Based Their Most “Solid” Claim on a 1961 Manual They Claimed to Have, And Obviously Didn’t — But Which They Showed the World Faked Images Of Nonetheless. Arpaio’s posse was clear and unambiguous in claiming that they had the 1961 Vital Statistics Instruction Manual from the US government, and that that manual backed their claim Obama’s birth certificate was a forgery. Jerome Corsi Says They Searched "For Months" to Find That 1961 Manual. Really, Jerry? He Also Says He's Going to Publish It Any Day Now. Somehow I Have the Feeling He's Going to Be Searching For a Few More Months To Come. “Hard to get,” indeed — as we shall soon see. Let’s See What They Presented to the World As Being Supposedly From Their “1961 Vital Statistics Instruction Manual”. The following images “morph” from the images they presented, to the originals that they took them from. You may find it easier to view the images if you click on them to display them on a separate page, and then return to the article. Want the actual 1968 source that this came from? Here it is, sourced from the web site of the National Bureau of Economic Research. If you have this document, there’s simply no way that you can miss that it’s from 1968 — not 1961. In fact, the Posse’s “we have the 1961 manual” claim was originally made by the Daily Pen in the same article that the Posse stole the graphic from. And the claim was already proven to be a fraud last March. Incidentally, we can find a copy of the original 1969 US government document this image was fraudulently taken from over here. The source, again, is the web site of the National Bureau of Economic Research. The Actual Manual Has Been Found. And It Directly and Absolutely Contradicts What Arpaio’s Posse Claimed it Said. Since the United States Department of Health and Human Services told blogger Kevin Davidson — and he asked them twice — that they thought this particular manual no longer existed, the Posse may have been confident it could pull off this little scam without being held accountable for it. All they had to do was just not show the imaginary manual. Right? Unfortunately for them, blogger ladysforest (who doesn’t even believe Obama is eligible!) asked a different government office, and was able to turn up a copy of the real manual. So that’s another false claim made by Arpaio’s posse, who apparently didn’t even have the 1961 manual. And if they did, they obviously lied about what it said. Below is an image from the real 1961 manual, showing the only race codes it has. Again, these are codes for the race of the child. And while some determination of parents’ races was made — in order to code the child’s race — that data was not coded by the feds. By the way, as you can clearly see, “9” isn’t “not reported or not stated.” It’s “other nonwhite,” which (according to the manual’s instructions) actually happens to be how Obama’s father’s race would’ve been classified. You can download the complete general instructions part of the manual here. But that’s not even the full extent of how far the posse’s claims are from reality… because — as we are about to see — that particular manual isn’t even a key to the penciled statistical codes on Obama’s birth certificate at all! Actually, the States Didn’t Even Have to Do ANY Statistical Coding to Report Their Data to the Federal Government in 1961. With the exceptions noted in the next paragraph [which didn’t include Hawaii], natality [that is, birth] tabulations for 1961 are based on information obtained from microfilm copies of the original certificates. These copies were received from the registration offices of all States, certain cities, the District of Columbia, Puerto Rico, and the Virgin Islands. The statistical information on these records was edited, classified, placed on punchcards, and tabulated in the National Vital Statistics Division (NVSD). But this story won’t fly, either. First of all, they’ve already quite clearly claimed it was a very specific federal code book they had — the “1961 Vital Statistics Instruction Manual” — so the lie is on record for all time. Secondly, they’ve publicly mourned a complete “lack of cooperation” for their birther “investigation” from the Hawaii Department of Health. The “Hawaii Girl” Certificate Establishes that the Real Hawaii Codes in 1961 Weren’t What They Showed You, Either. First, This Certificate Posted in a Corsi Article Disproved One of His Major "Forgery" Claims. Now, It's Shown that Their Claimed Code Set Wasn't Used by Hawaii in 1961. In September of last year, WorldNetDaily published a Hawaii birth certificate from a baby girl born in August of 1961. I subsequently caught them scrubbing information from their site that contradicted and destroyed one of their major conspiracy theory claims. That claim was that the certificate number on Obama’s birth certificate was “out of sequence.” I was alerted by a reader that WorldNetDaily had changed the images of the birth certificate, for no apparent reason. Curious to find out why, I fished the original images out of Google’s cache, and was able, by enhancing the image of the back of the certificate, to read the certificate number. By the way — I don’t think I’ve ever mentioned this publicly before, but in the new image they substituted onto the site, they specifically and deliberately copied a section of safety paper from the bottom of the certificate over the upper left corner, in order to hide the certificate number. So they went to pains to cover up the certificate number — which contains no personally identifying information — but left enough personal information visible that I and others were able to figure out exactly whose birth certificate it was. “Hawaii Girl” Came From a Hawaiian/ Asian Family. 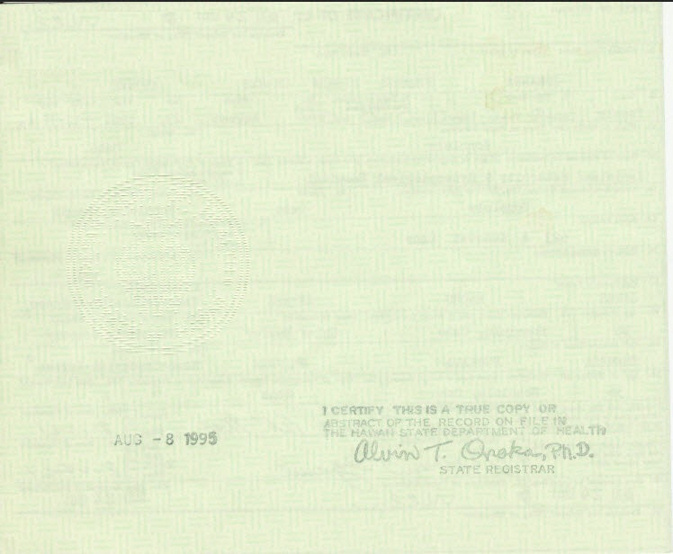 Of interest to us now is the coding on what I call the “Hawaii girl” birth certificate. The race fields for mother and father both have the number “3” written by them. According to the supposed codes from Jerome Corsi, Mark Gillar and the Cold Case Posse, this means that both parents were supposedly (American) Indians. Her father has a Hawaiian middle name, and a last name of Chinese origin. There’s no sign of any American Indians anywhere — let alone on both sides of the family. In the course of the past fourteen months, I have personally investigated something well beyond 60 different significant birther claims that President Barack Obama is ineligible to his office. These include the claims that his birth certificate is a “forgery,” and also the claims that it takes citizen parents to be a natural born citizen. Out of all that huge mountain of claims, I have never found even one single significant birther claim that actually stood up to scrutiny. Simply put, there is plenty of evidence that Barack Obama was born in Honolulu, Hawaii in 1961. Likewise, the evidence is simply and utterly overwhelming that “natural born citizen” means pretty much what everybody always thought it meant. And Barack Obama, born in the United States, is perfectly eligible from a Constitutional, legal and historical point of view to be President of the United States. So if you don’t like him, do as I will be doing in November, and vote for somebody else. In the meantime, there is more than enough evidence for any reasonable person to conclude that the birther movement is not just based on misconceptions, mistakes, or “production errors” — as Mark Gillar so eloquently termed the presentation of the second fraudulent image in his video. It’s a scam from beginning to end. And it’s a scam — for the most part — on conservatives. and the very long list of transparently false claims made by Mario Apuzzo, Leo Donofrio and others, documented here and elsewhere, to the effect that it takes two citizen parents to be a natural born citizen. The inevitable conclusion, for any rational person who acquaints himself or herself with the evidence, is that the birther movement is not a mistake. It’s a scam. And while there may have been some honest mistakes on the part of some in the beginning, it is now based on nothing more than lies, lies, and more lies. After an extensive email discussion with Mark Gillar, producer of the official video which contains the falsified images, Mr. Gillar stated that he received all materials and the script from Mr. Zullo of the Cold Case Posse and had no editorial control. A direct request to the Cold Case Posse for a copy of the “1961 Vital Statistics Instruction Manual” resulted in no reply. Blogger and internet radio host “Reality Check” also reports that he engaged in a series of email contacts with Jerome Corsi. He states that Corsi provided no further evidence to back his claims. He has since issued a written challenge to Corsi and Zullo to produce the documentation they claimed to have. Update — The Cover-Up Continues: Jerome Corsi has responded to calls for the Posse to show the manual they claimed to have by making excuses as to why they won’t produce it, and by making additional false claims regarding those who’ve asked them to do so. 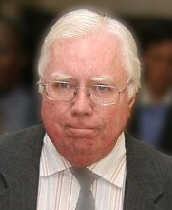 Jerome Corsi appeared this week in a YouTube video intended to rally the birther faithful. In that video, he characterizes those calling for the Cold Case Posse to back up their claims as wanting some kind of inside window into the investigation — and as asking for all kinds of different documents. He claims that people who have asked for the evidence have “lost their mind.” He also indicates that the Posse won’t back up their fabricated claim; and he makes excuses as to why. The evidence that’s been created? I always thought evidence was uncovered, or discovered, or revealed. Or maybe found. The word “created” would not normally seem to fit into that particular place — at all. Unless, of course, evidence actually has been created. Which we now know it has. On July 17, Sheriff Joe Arpaio of Maricopa County, Arizona presented a second press conference in which he reiterated earlier claims that President Barack Obama’s birth certificate is a forgery. In his first press conference on the subject (March 1, 2012) Sheriff Arpaio and his posse brought to the American public the same claims that birthers had been making about Mr. Obama’s birth certificate for some time. Virtually all of the claims made by Arpaio and his posse, however, had been debunked in the book I wrote on the subject, which had been released some 6 months prior to the press conference. This was before Arpaio’s “investigation” even began. 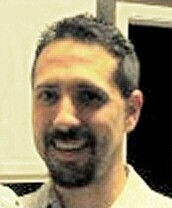 Many were also debunked by other authors, such as Frank Arduini. Unlike myself, I understand that Mr. Arduini is an Obama supporter. I have just reread his paper on Mara Zebest’s birther claims, which are the same claims presented by Arpaio’s posse (in fact, by the same person!) Whatever Mr. Arduini’s political affiliation, his technical comments are accurate. Arpaio’s Posse Completely Failed to Recruit Viewpoints from Both Sides, and Ignored the Most Extensive Investigation that Had Been Conducted Regarding the Forgery Claims and the Birth Certificate. As soon as Sheriff Arpaio announced he would be conducting an investigation (September of 2011) I wrote to the Maricopa County Sheriff’s office, as the only person to have already conducted a full, independent and impartial investigation — and to have authored a book on the forgery theories — and offered my assistance. My investigation was essentially full-time for some 3 months, or approximately 500 hours of very careful research which yielded, by my estimation, around 20 new interesting items of information that were largely, and in some cases completely, unknown. Sheriff Arpaio’s office never replied. Instead, they received literally days’ worth of “briefing” from birther conspiracy theorist Jerome Corsi, public backer of some 23 different conspiracy theory claims that had already — all — been factually debunked in my book. I had found no significant claim backed by Corsi that could stand up to scrutiny. They followed up on this by making Corsi — a person with a direct and substantial financial interest in the existence of a “forgery” — a member of their investigative team. Of course most of these sales were prior to the Arpaio venture. But in addition to the book sales, WorldNetDaily has sold a variety of other “birther gear,” and solicited donations from the public for “independent investigations” and a “Where’s the REAL Birth Certificate?” billboard campaign. They are currently selling more than a dozen “eligibility products” and are still soliciting donations, at up to $5,000 a pop. Monthly, if you wish. They’ve also used the supposed “forgery” to drive traffic to their web site, where they make further profits through advertising (“Power Companies HATE This!”), sales of other WND products, etc. Critics will be quick to point out that I have myself recently added “donate” buttons to this site and asked readers to consider making a contribution (and in fact, a monthly one if they are willing and able). The problem is not in presenting an honest product to the public and making a profit by so doing. That’s called free enterprise, and it is a system I wholeheartedly support. There are two places where there’s a problem. The first is when people profit by presenting invalid and false information and/or products to the public. As mentioned above, Corsi and WorldNetDaily have a long track record of presenting spectacular claims that do not stand up to scrutiny — as shown in the book that I wrote — and of using those dubious claims as a means to advertise and motivate people to buy their claim-related products. The second problem is when a supposedly professional investigative team — an official law enforcement agency — conducts a high-profile “investigation,” makes a person with a known and substantial personal financial interest in the outcome of that investigation an integral part of their “investigative team,” and then has their lead investigator split the profits with him. What kind of “investigation” was that? It is not as if I and these other authors are that difficult to find. 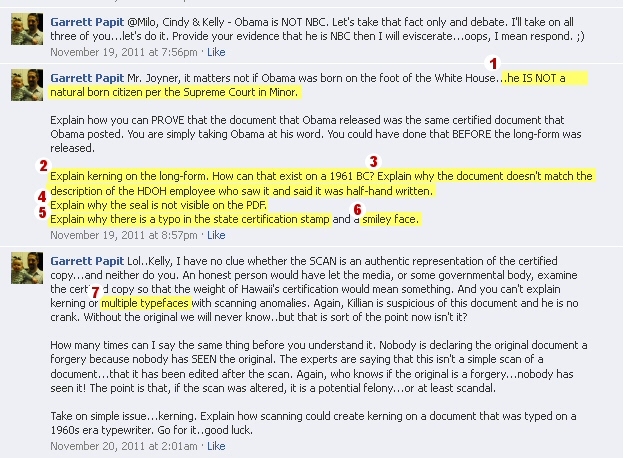 A number of people have commented publicly and critically on the birther forgery claims. And Arpaio’s posse can’t credibly claim they didn’t know I existed. Aside from being easily findable through search engines, YouTube videos and the like — and the fact that I actually took the initiative to contact them — they actually mentioned my name during their first press conference. I was not asked or informed that I would be mentioned, or given any chance whatsoever to rebut what they said. Arpaio claims (as he did in today’s press conference) “My initial intent was to clear the President of the United States.” In light of the completely one-sided way that his posse’s “investigation” has been conducted, the claim seems literally laughable. 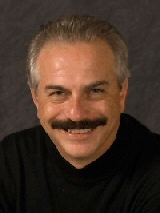 Joseph Farah Was Sent the Evidence that Not One of the Corsi-Backed Claims Could Stand Up to Scrutiny. 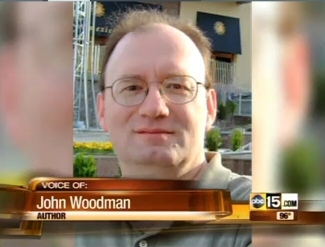 WorldNetDaily Never Uttered One Word About That Evidence. Instead, They Continued to Publicize the Debunked Birther Claims, with an Advertisement on Virtually Every Page. Incidentally, Jerome Corsi’s editor Joseph Farah at WorldNetDaily was one of the first people in the world to be given a copy of my book. I sent an electronic copy to Mr. Farah via his personal assistant a day or two before the book was published, and my wife followed up a couple of weeks later with a complimentary physical copy addressed to Mr. Farah. This was basically at his personal assistant’s request. Although a couple of weak attempts have been made by Corsi’s “experts,” to my knowledge not one single significant point in the 221-page book has ever been successfully debunked. The only thing that I have so far had to retract in the nearly 10 months since publication was my inadvertent erroneous use of the phrase “Democrat Party,” when “Democratic Party” is the proper name for that organization. Neither Jerome Corsi (whom I actually debated on internet radio back in January) nor his boss Joseph Farah have the slightest excuse for not knowing that the masses of information they have been peddling to the public are absolute baloney. I have not followed WND’s articles since early this year, but from what I saw until that time, they continued to publish multiple birther articles weekly for months after they received a copy of my book, and every article that I saw advertised their birther wares. Usually, multiple times. Corsi would later be dispatched by Arpaio’s posse to examine flight records from 1961, and (according to tonight’s press conference) to phone 95-year-old Verna Lee, the local Registrar of record listed on Obama’s birth certificate. Corsi was also a member of the official Arpaio press team at their first press conference in March; and birther activist Mara Zebest authored the Posse’s official report. “Party Unity, My A**” — Arpaio’s Official Report Was Authored by Disgruntled Hillary Supporter With an Activist Anti-Obama Axe to Grind. In an early interview, Mara Zebest sounded as if she was simply a random, uninvolved graphics expert who got a phone call one day and was shocked to examine the PDF file posted by the White House and discover that the President of the United States was attempting to foist a forgery off on the American public. There’s a lot more to it than that, however. That site — pumapac — was a hub for “PUMAs,” disgruntled Hillary Clinton supporters who, when asked to unite behind presumptive nominee Obama, responded: “Party unity, my a**!” and continued to oppose Obama’s nomination. Since When Does a Professional Investigative Team Repeat Long Debunked Claims? This claim was entirely debunked, literally the very next day, by Mr. Kevin Davidson of ObamaConspiracy.org, who noted that the stamp read “USPO” rather than “USPS.” The “United States Post Office” was replaced by the “United States Postal Service” (USPS) in July of 1971. Postmark stamps were replaced as they wore out, with the last known “USPO” stamp apparently surviving until 1987. What kind of “investigative” operation is it, when one of your most important claims — in which you publicly accuse “someone” (Arpaio will never say who, but it’s supposedly not the President!) of having forged the Selective Service registration of the President of the United States — a serious crime — and your accusation is debunked by someone on the internet the next day? Today Arpaio’s posse presented several new claims. At this time, I am going to go ahead and post this as “Part 1.” I intend to return later to comment on the claims that Arpaio’s posse made today. Update: It turns out that Sheriff Joe’s Posse fabricated evidence and lied to the nation in their press conference last week. See here. In October 2008, Leo Donofrio filed a lawsuit alleging that Barack Obama, as the son of a Kenyan (and therefore British) father, was Constitutionally ineligible to be President of the United States. That December, the US Supreme Court declined, without comment, to hear the case. Since then, there’s been a lot of publicity (on the internet, at least) around the claim that it takes two citizen parents at the time of a person’s birth for that person to be a natural born citizen. The claim, however, was like saying that the sky was orange: It flew directly in the face of what most Americans thought they knew about the natural born citizen clause. The understanding of most people is that the sky is blue. 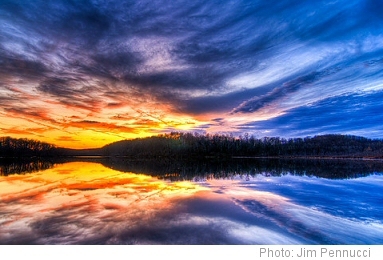 Yes, there might sometimes be some other colors up in the sky — the white of clouds, or the orange, yellow or pink colors of sunset. But fundamentally, the sky is blue. That, at least, is our accepted belief. This is very like the common understanding of “natural born citizen.” The government, the media, and our school textbooks all tell us that if you were born in the United States, then you are a natural born citizen; and that any kid born in American can one day grow up to be President. It can sometimes be healthy, though, to challenge assumptions, and to test the conventional wisdom. Sometimes we find out new things when we do. Maybe there’s a lot more to physics than old Sir Isaac Newton thought there was. Maybe man can build machines that fly after all. Maybe the sky is orange. But believing such a thing — that a heavier-than-air flying machine is possible, at a time when only balloons have ever flown before, or that the sky is orange, or that there is life on the moon or Mars — requires some compelling evidence. You might possibly have noticed that throughout this series of posts, I’ve included a little block of color in the headline of each section. And, you may have noticed that some of these blocks have varied in color. The little blocks serve two purposes. First, they will let you go back and compare your own assessment of a particular bit of evidence with mine. And secondly, they will help us summarize the vast body of historical evidence and visualize an overall picture. Legally speaking, any real argument has been settled — as Congressional Research Service attorney Jack Maskell notes, for more than a century. First, Minor v Happersett clearly does not say what some have claimed it says. We know this for a variety of good reasons. In this blog, I myself have given no less than five. And US v Wong Kim Ark (1898) quite clearly established that persons born in the situation of our current President are indeed natural born citizens, and therefore eligible to the Presidency. A fairly extensive analysis of the legal meaning of “natural born citizen” is available through this blog’s posts on legal authorities and case law. But maybe the courts have been wrong? Maybe Americans have always understood “natural born citizen” to mean something else? That is why we have taken an in-depth look at the historical meaning of the term. Having done that, we are now prepared to take a “big picture” look at the historical evidence of what Americans have always understood the term to mean. Ignore, if you will, the stack of irrelevancies in the middle, and focus on the real evidence to the left and to the right. The only historical events we have found that weigh in birthers’ favor are the opinions of Alexander Porter Morse (orange) and Breckinridge Long (light orange), and the fact that the US State Department sometimes denied passports, in the late 1800s, to persons born on US soil of non-citizen parents who had removed them in childhood to other countries. Some other historical events have been claimed to weigh in the birthers’ favor — such as Minor v Happersett — have been found completely wanting. The above diagram compares the opinions of Alexander Porter Morse, Breckinridge Long, and the presumed opinions of several Secretaries of State to the single list of known quotes regarding natural born citizenship and Presidential eligibility from legal authorities. And once again, this is still an uneven, charitable comparison! I haven’t attempted to add in any of the “blue” opinions of Secretaries of State (such as William Evarts and undoubtedly many others) or the policies of Secretaries of State since Perkins v Elg. And I’m counting the opinions of Morse and Long as if they were equal with those of many more highly distinguished and recognized legal experts, including Justices of the US Supreme Court. and a virtually absolute lack of any quotes that legitimately and in context claim or even imply a birther definition. Elsewhere, in fact, I’ve estimated the total number of known book quotes, prior to 2008, that give evidence against the citizen-parents claim as being approximately 395, and the number of known “book quotes” giving evidence that could legitimately be said to be in favor of the claim — Morse’s book and Long’s newspaper article — as being 2. In short, the evidence stands overwhelmingly against the two-citizen-parent claim, not only from a legal perspective, but also from a historical perspective as well. We have only the personal opinions of Morse and Long, spoken a century after the Founding, as well as some implied evidence from several US Secretaries of State (from the same era as Morse and Long) — against a veritable mountain of historical evidence spanning the entire course of American history, that “natural born citizen” does not and never did mean what the birthers claim. That Barack Obama, born in Hawaii to an American mother and a Kenyan father, is Constitutionally eligible to be President is not a partisan conclusion; nor is it one that simply benefits Democrats. As we’ve seen, the first Republican Presidential candidate in history — John Charles Frémont — was in very much the same situation as Barack Obama. So, too, was Republican Presidential candidate Charles Evans Hughes. Today the Republican Party has interesting candidates in Marco Rubio, Bobby Jindal and Nikki Haley. They aren’t the Republican Party’s only candidates, by any means. But we would be worse off without the possibility that one or another of these home-grown, American individuals might become a future President. The birthers have done no one any favors. Not the Republicans. Not the Democrats. Not the American public. Not the Constitution. And not the Founding Fathers. Some reading this article undoubtedly will have hoped that we would find the sky, as alleged in birther mythology, to be orange. But it isn’t. The very few small bits of orange in the sky are merely the reflection of the sun going down on the two-citizen-parent claim. It is quite true that historically, the term “natural born citizen” has only ever had one definition. But the claim that that definition requires citizen parents for persons born in the United States is false — to the point of total, absolute absurdity. It could hardly be more false. It’s about as false as publicly claiming that car windshields are made from heat-treated sugar water, that Bozo the Clown invented the internet, or that 2 plus 2 equals 17. And an accurate historical evaluation is perfectly in harmony with the legal reality. For a person born on US soil, it does not — and never did — require citizen parents for that person to be a natural born citizen. This post completes a 14-month, thorough evaluation of the claims of the birther movement. That evaluation began by looking into claims of “proof of forgery.” It continued with an investigation of the legal claims of the birther movement and the status of actual US law. And it has ended with a complete tour of the meaning of “natural born citizen” in the light of history. In the course of that evaluation, I have written and published one book — on the forgery claims — and also published, here, more than enough material for a second book. This has been this blog’s final post, and it’s time for me to move on to other things. I would like to thank all — both birthers and anti-birthers — who have read, participated or otherwise contributed to this blog. For any readers who appreciate having been told the truth and would be willing to make a financial contribution to help offset the enormous cost of time, energy and effort over the past 14 months that this blog has taken, any such contribution would be welcome and will be put to good use. Again, thanks — and I wish all of you — yes, even the birthers — the best.